Have you ever craved something sweet and salty, but find it hard making a decision of what you want to eat? This happens to me all the time. I used to love eating Bennigan’s Monte Cristo when I lived in Florida. It was so good, and oh so fattening. A traditional Monte Cristo is dipped in egg batter and then fried in a skillet, or often the sandwich is even deep-fried. I decided to skip the batter and only lightly brown the sandwich. Sometimes when we try to “lighten up” recipes, we end up losing the reason we liked the fattening version in the first place, the taste. 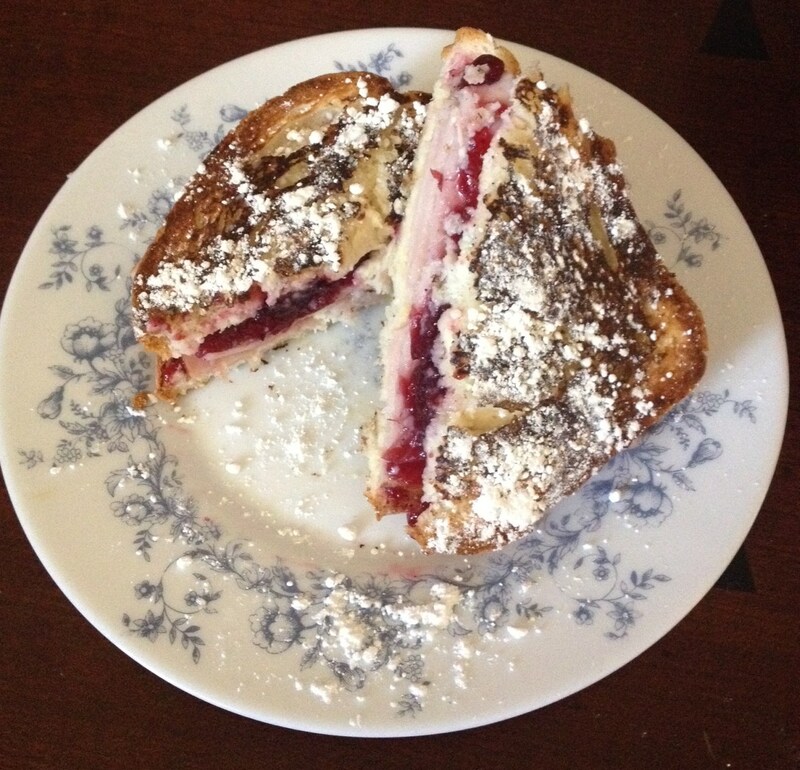 This low fat Turkey-Cranberry Monte Cristo is full of flavor and you won’t be disappointed! Put ½ tbsp of butter on each slice of bread. This can be messy, so to try to avoid getting butter or another ingredient on your hands, use a small plate to lay the buttered side down before putting other ingredients together. Spread one slice of bread with Dijon Mustard and the other slice with the Laughing Cow Cheese. Top one slice with the turkey and then top it with the cranberry sauce. Heat a greased skillet over medium heat; using spatula, transfer sandwich to pan and brown on both sides. Immediately sprinkle powdered sugar over sandwich when brown. Serve hot.